Titanium camo ring features Realtree Max-4 inlay. Width: 8mm. Ring has a flat center and beveled edges. Deluxe comfort fit ring is handcrafted in the USA. Please use a narrow ring sizer when sizing your finger. Ring is available in finger sizes 6 to 16. 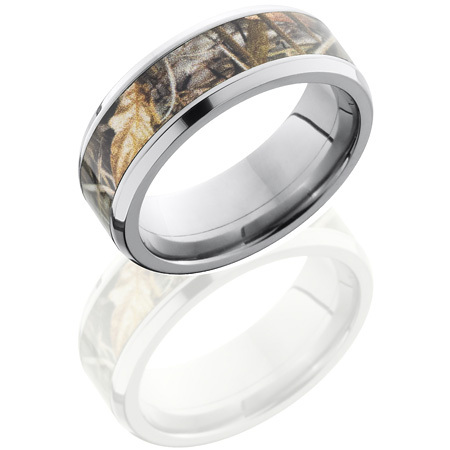 This ring is officially licensed by Realtree. Please note, each camo ring is made to order, thus slight variations in camouflage occur. Each ring has its own unique pattern. No two camo rings are identical.